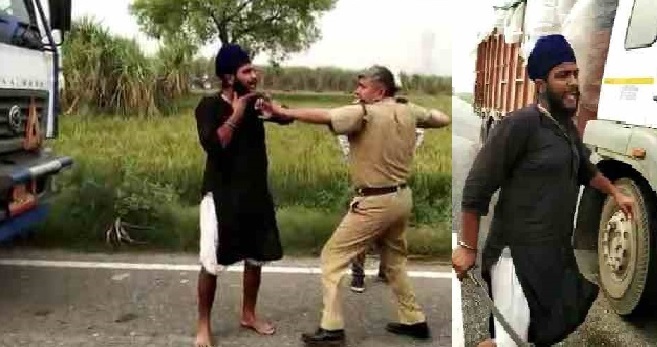 SHAMLI: A video being widely circulated across social media purports to show the harassment of a Sikh truck driver by Uttar Pradesh police at the Shamli-Muzaffarnagar border. 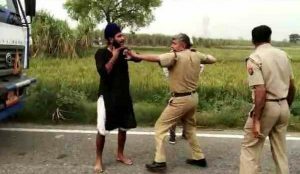 In the video a Sikh truck driver and his acquaintance can be seen debating with the police when one officer suddenly grabs the Sikh driver’s beard. 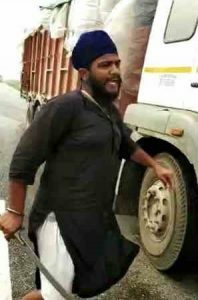 The driver is seen to retaliate to the provocation by returning to the truck cabin from where he produces and brandishes a Sri Sahib (Sikh sword) towards the officers. According to information posted online, the video is from Shamli-Muzaffarnagar border of Uttar Pradesh. It is being alleged that the vehicle driven by the Sikh was not given permission to proceed following which a debate ensued. When the police officer grabbed the Sikh driver’s beard, the incident flared up. It has been reported that the police have taken the driver and his acquaintance to the police station. The incident has received global condemnation from the Sikh community amidst regular reports of Sikh drivers being harassed in Uttar Pradesh and other states.